With a commendable demand of 1:1 male to female ratio for aesthetic procedures, these procedures have 100 per cent growth rate per year in India. The current size of Indian beauty & cosmetic market stands at $950 mn, growing at the rate of 15-20%. There was a time when cosmetic treatments were associated with celebrities and people of affluent class. The picture, however, now seems to be changing. Today, people from all walks of life are concerned about their appearance. And, this growing apprehension is making people move towards aesthetic beauty treatments and cosmetic procedures especially the non-surgical aesthetic procedures which have no down time. The exponential growth of aesthetic business in India stands as a witness to the awareness among people about such treatments. The male to female ratio coming for aesthetic procedures is 1:1 these days. Unlike earlier, people don’t look at cosmetic procedures with skepticism, but with curiosity and interest. Owing to which, these procedures have 100 per cent growth rate per year. However, before taking a step towards beauty enhancement, one must be completely aware of aesthetic and cosmetic procedures. Coming out from its infancy, aesthetic industry in India is actively taking on the Indian beauty space. If we talk about the past one decade, the cosmetic business has augmented rapidly, owing to the flourishing Indian fashion and film industry. In return, the fashion and film industry is fuelling growth of cosmetic industry by making people realize the importance of having good looks and appearance. A reason considered major in the growth of aesthetic business is the increased spending power of the consumer. This has ensured the well being aesthetic industry. The growth and popularity of aesthetic industry can be well accentuated by the analysis and figures given by Confederation of Indian Industries (CII). It states that, the total Indian beauty and cosmetic market size stands at USD 950 million and showing growth between 15-20 per cent per annum. During a short span of time, India has scaled in cosmetic surgery market across the world due to the prevalence of better healthcare infrastructure, aids, well qualified and experienced cosmetic surgeons and most importantly because of the low prices than US, China, etc. for almost all category of cosmetic treatment. 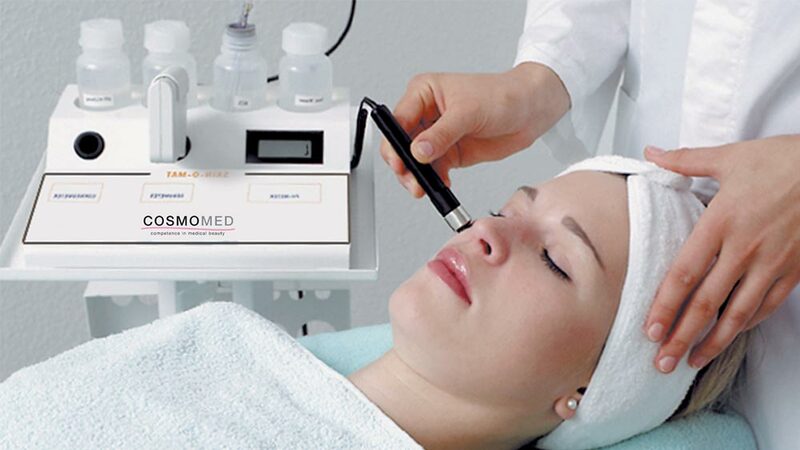 The trend in all cosmetic treatments is totally non-invasive. Time was when non-surgical treatments cost a lot, suckered a lot of time and still the results were questionable. But over the span of time, things have changed. With the introduction of new technologies has helped cosmetic treatments escalate to a non-invasive or less invasive level. These treatments do not cost much and are less painful and quick on recovery. Nonetheless, a person should be totally aware of before heading for a cosmetic treatment. One must keep in mind that not every procedure is right for every problem. For instance, a person doesn’t need a face lift to smooth deep troughs next to their mouth, when filler will just do fine. Today, the Indian cosmetic industry has a plethora of treatments catering to the needs of the patients. Not far behind, the second tier cities of India also have a considerable amount of takers for cosmetic treatments. Surveys have indicated that the number of patients has doubled lately and demand is springing up from rural areas as well. With growing aesthetic consciousness, changes in lifestyle are growing. This article is wriiten by Dr. Navin Taneja, Director, National Skin Centre, New Delhi, as per his personal opinion, reasearch and experience. Bottega di LungaVita launches winter care range..